Atidan is pleased to be a part of the business intelligence revolution – for over ten years we have worked with powerful visualization tools starting with the early versions of SQL Server and many third party tools. Now, it is even easier than ever to collect data from almost ‘anywhere’, create ‘stories’ from your data, create insights with simple drag-and-drop gestures, and share your dashboards and metrics internally and externally. 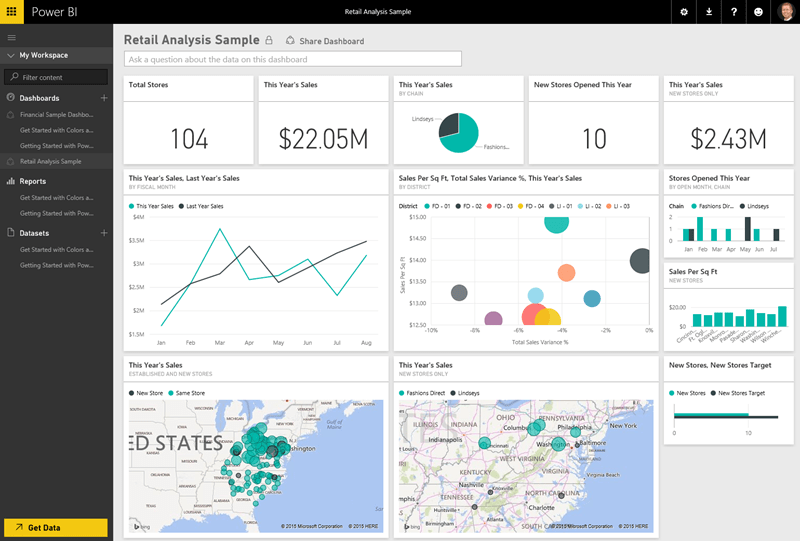 Contact us today to see the latest release of Microsoft Power BI. 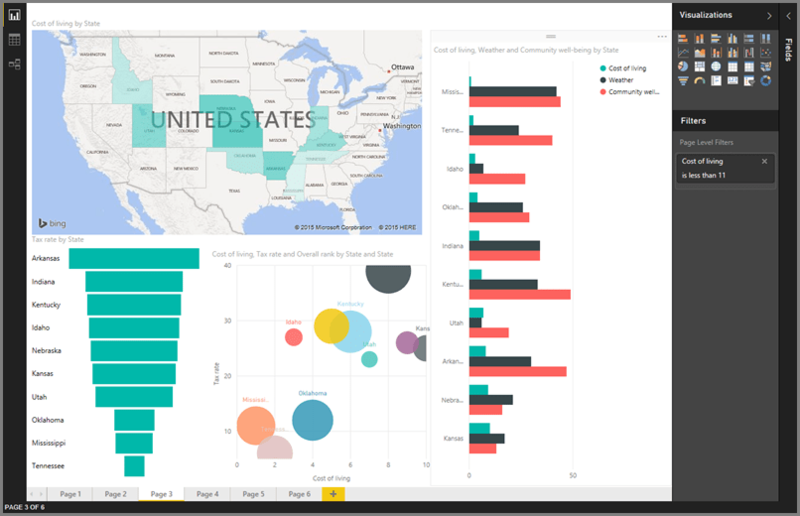 The new experience is centered on PowerBI.com, an online service where you can quickly create dashboards, share reports, and directly connect to (and incorporate) all the data that’s important to you. The new experience also introduces the Power BI Desktop, a dedicated report authoring tool that enables you to transform data, create powerful reports and visualizations, and easily publish to Power BI. The new experience extends to all your mobile devices, too. Note If you were using the previous experience and want to migrate to the new experience, you can download this migration guide to understand and prepare for the migration process. The following sections provide an overview of the new experience, along with introductions and links to learn more about the details and capabilities of each offering. In the new experience, you create dashboards that keep you informed about what’s most important about your business. Just like a dashboard in your car displays important information about your vehicle, such as its speed, its fuel level, or how healthy the engine is, dashboard in Power BI display important information about your business. In Power BI, dashboards display tiles that represent important information about your business. Tiles are based on reports (just like gauges are based on vehicle data from the engine, the fuel tank, or the battery). You can select a tile to explore more information from the underlying report. 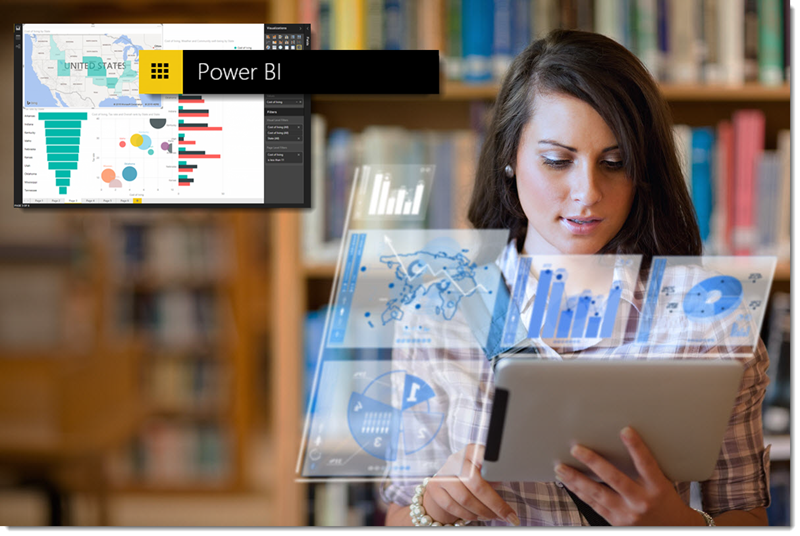 With Power BI Desktop, you get a powerful and dedicated report authoring tool that enables you to connect to and combine data from lots of different sources, using Power BI Desktop’s Query Editor. From the datasets you build with Query Editor you can create rich reports and visualization within Power BI Desktop. And when you’re done, publishing to the Power BI service is easy. There’s a lot more to learn about the new experience, and plenty of content to help you . The following links provide information about the new experience, and start with overview information (to get your familiar, oriented, and comfortable) then move into specifics. A separate section is dedicated to the Power BI Desktop, and those links also go from overview to specifics. The following links provide guidance on the new experience in Power BI. The following links start with an overview of Power BI Desktop, then describe common tasks and capabilities that Power BI Desktop provides.